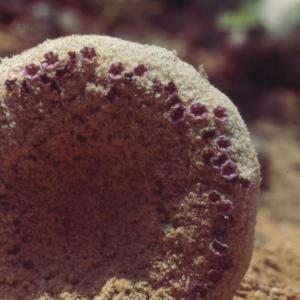 A somewhat younger inflorescence of Pholisma sonorae, removed from the sand, with the sand shaken from the center. The flowers are lavender in color. Perhaps one should say heliotrope colored, because Pholisma sonorae is now considered a member of the Boraginaceae, sometimes known as the heliotrope family.